The College of Charleston’s board of trustees adopted in 2012 its first-ever Diversity Strategic Plan. The plan, to be implemented over a five-year period, was meant to address the college’s many “diversity challenges.” It seems the board just created itself a new challenge. The board tapped South Carolina Lt. Gov. Glenn McConnell as the college’s next president. The announcement was followed by a week of protests, including a student walkout on campus Friday. 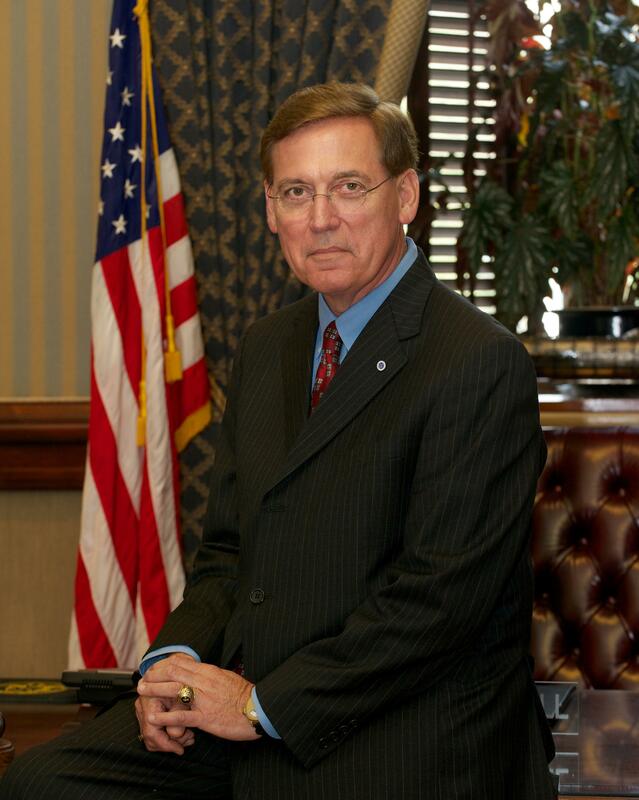 McConnell is one of the most powerful and well-known politicians in the state, having served 30 years in the state Senate, 11 of them as Senate leader, before becoming lieutenant governor in 2012. McConnell also happens to be a huge proponent of flying the Confederate flag at the South Carolina state capitol. He’s an avid Civil War re-enactor who’s fond of dressing as a Confederate general. And for 20 years he owned a store that sold Confederate artifacts and memorabilia. All of that qualifies McConnell as a diversity challenge for the College of Charleston. … the climate at the College does not effectively welcome all population groups—especially minorities, international students, and members of the LGBTQQAI community. No matter the College’s significant accomplishments in the 1940s, 1950s, and 1960s, our administration in those years has bequeathed to us a disturbing history of racism that lives in the memory of our neighbors. For example, the College first purchased many of the beautiful historic houses that grace our campus today in order to prevent African Americans from living nearby. Given the inextricable histories of the college, city and state, as well as the board’s stated desire to make the school more welcoming, appealing and inclusive, why would they hire McConnell? None of the information about his Confederate embrace is newly discovered. He’s a big name in South Carolina politics, and his affinity for the Confederacy has been known for decades. When then-Gov. David Beasley in 1996 called for the Confederate flag to be removed from the capitol dome, McConnell said taking it down would amount to “cultural genocide.” McConnell won that round, and the flag stayed. A few years later, when the NAACP called for a tourism boycott of the state because of the flag, McConnell was out front once again fighting to keep the flag in place. Eventually, he was part of a compromise that moved the flag from the capitol dome to another spot in front of the capitol, where it still flies today. He drew criticism in 2010 when a picture of him dressed as a Confederate general circulated online. In the photo, he appears to be standing between two people dressed as slaves. You can also find online a picture of him standing in his memorabilia store, surrounded by the largest collection of Confederate flags you’ve ever seen in your life. The board reportedly ignored its own hiring committee’s recommendations and chose McConnell, who has never worked in higher education. The answer to why the board chose him might be simple: politics. The board of trustees is full of political appointees chosen by the state’s general assembly, where McConnell has plenty of longtime allies. for a comparable matter, your web site got here up, it appears to be like great. available scrapbooks. Replacing a front door is not an expensive undertaking, so do so if it needs it. ” “One reason, of course, is that curb appeal has a strong effect on prospective buyers,” he continues, “Another has to do with cost.